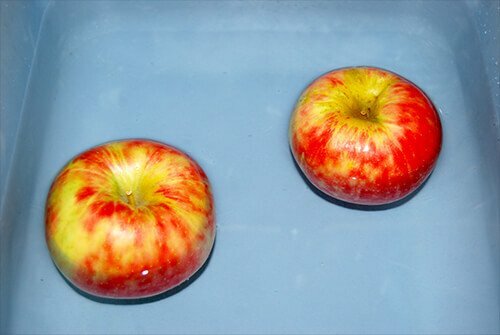 Fall Fruits Science: Pumpkins and Apples Sink or Float? The arrival of fall offers some awesome opportunities for exploring science with kids. While many consider a pumpkin a vegetable, it is really a fruit grown on a pumpkin vine. Try the FUN pumpkin and apple sink or float science experiments with your own kids this fall. There are free recording sheets for use with Wikki Stix to incorporate creativity and fine motors skills into predictions and documentation for the fall fruits science experiments. FREE Printable Fine Motor Recording Sheets (download for APPLES here OR for PUMPKINS here). 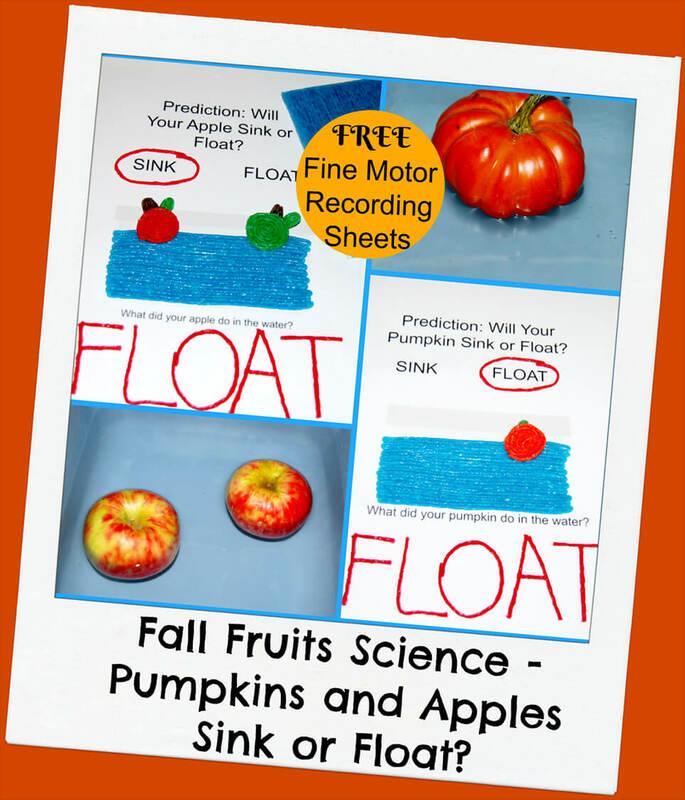 Prior to the science activity, print the fine motor recording sheets for the experiment your kids choose to do first – either apples or pumpkins. Discuss with your kids whether they think the fall fruits will SINK or FLOAT in the water. 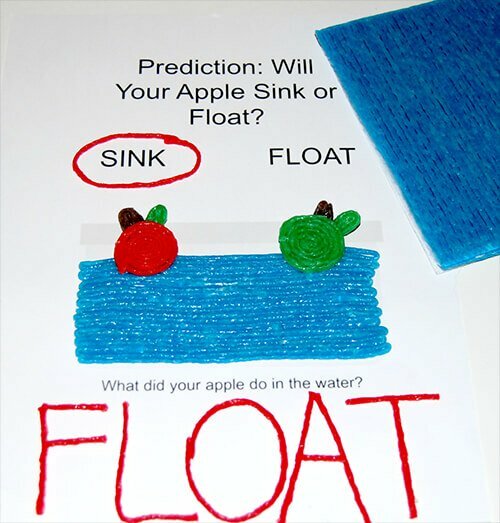 On the recording sheet, invite your kids to circle their predictions (either the word SINK or FLOAT) with Wikki Stix. Add either the pumpkins or the apples to the water and observe what happens. Did the apples or pumpkins SINK to the bottom of the water or FLOAT in the water? Invite your kids to share why they think the apples and pumpkins float in water. Pumpkins are rather large fruits and kids will often predict they will sink because of the size. Remind kids that size doesn’t determine whether the fall fruits will sink or float. 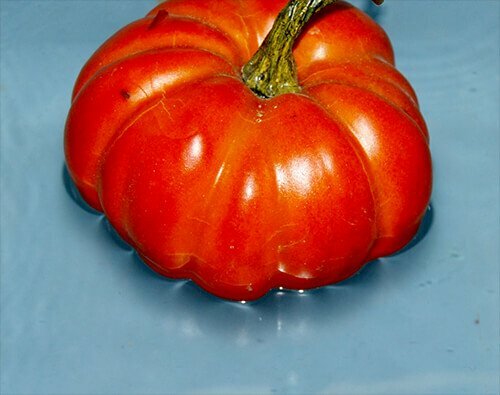 Pumpkins and apples float in the water because they are less dense than the water – meaning they are buoyant. The fall fruits contain a lot of air (even pumpkins because they are mainly hollow inside despite their size). 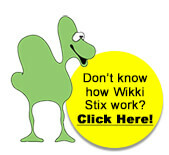 Invite your kids to use Wikki Stix to complete their fine motor recording sheets. Kids can make the water with blue Wikki Stix and create their pumpkins and apples. Kids can also complete the bottom portion of the fine motor recording sheets by creating and spelling the word FLOAT with their Wikki Stix. Through hands-on creation and play, kids will retain scientific evidence from the fall fruits experiments. What other items in the classroom or at home will sink or float? Kids can try wood, magnets, cork, Styrofoam, paper, crayons, markers, or other items. Invite kids to try Wikki Stix in water. Will the Wikki Stix sink or float? Exploring simple fall fruits sink and float science is fun for kids. With Wikki Stix, kids can enhance fine motor skills through creation and PLAY to help learning STICK!